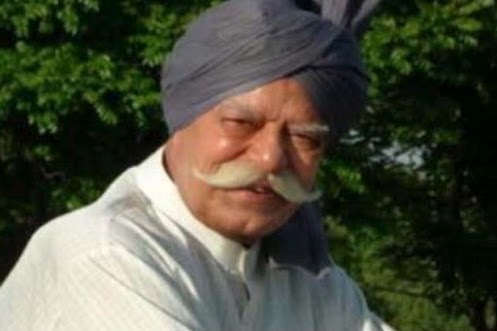 Dara Singh (19 November 1928 – 12 July 2012 ), who passed away today, was more than the first action hero as he is being called in the media—he was actually the national symbol of virility and valour and very much a part of the other national symbols like tiger or peacock. If you tried to show off with some physical prowess, it was quite natural to get a comment like this: Apne aap ko bada Dara Singh samajhate ho’ (So you think you are something like Dara Singh), quite like as in Bihar, the way we used to take a dig at people who thought they had good English by saying that apne aap ko Shakespeare samajhate ho (you think you are somekind of Shakespeare). He was, of course, the most perfect choice for the role of Hanuman in the teleserial ‘Ramayana’ and perhaps the only character in the epic-serial who was given the role because of his own reputation. Dara Singh can be a good study in the contemporary cultural discourse to understand how despite playing many minor roles in Hindi films, he remained a major figure in his own right. He was the superstar of Punjabi Cinema at one time, but even before that he had earned his fame as the Professional Wrestler fighting in rings in Singapore and against some of the greatest professional wrestlers in the USA in the 1950s. Thus, even before becoming an icon in the celluloid world, he had had his share of fame and success as real life hero. Though Dara Singh, with his skill and integrity, could easily overcome the ignominy of fighting as ‘show-wrestlers’ before the durbars of the kings and nawabs of various princely states in India in the 1940s and 50s, one wonders if the ‘romantic-machoistic’ aura that got created around him was also due to the over-enthusiasm of presenting an independent India as a self-reliant, strong, honest and ‘down-to-earth’ nation. Can we, for example, create such symbolic personalities when heroism of any kind is likely to be seen with lot of circumspection, mainly because many virile figures of the post-independence era from different walks of life have now proved to be having feet of clay? 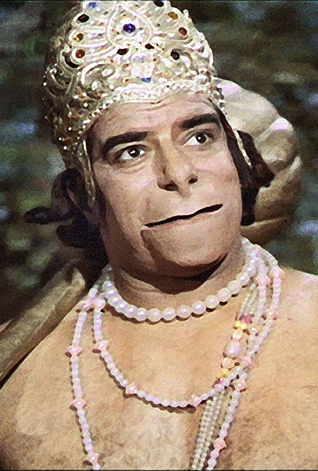 Moreover, the honesty and integrity of Dara Singh, was always equated with some of kind of naivety by the urban-bred, city audiences and his portrayal of Hanuman as the doting and unquestioning follower of the Lord Rama somehow also echoed the rural-urban dynamics of the contemporary India. No wonder, his giant personality was also (mis) utilised by many directors by showing him as a bachelor who maintained distance from the temptations of women in order to safeguard his virility for greater good—an image that tried to re-inforce the stereotyped Indian male’s hypocritical attitude to women as well as his overestimation of his own species in the contribution to the human society. However, purely in the context of the life of Dara Singh and in the context of individual struggles, trials and tribulations of growing up in rural India with glint in one's eyes, it may be interesting and inspiring to go through his autobiography-Meri Atam Katha—which is written in original Punjabi and published by Navyug Publishers, New Delhi (ISBN 978-81-85267-35-9). It is an inspiring story, no doubt, which also lets the reader take a look at the social and cultural contexts of his life and work. The writer of this piece had the privilege of including this book in two exhibitions and the related catalogues—one related to books on sports and another on books on cinema organized by NBT at New Delhi World Book Fairs—which also shows the marvelous and multi-faceted life this great personality lived through in two different walks of life. A great legend, a great Indian hero and a great wrestler has left us. We all Indians are sad today. Indian wrestling world will never be complete without Dara Singh. India has lost a great personality .He was a real hero of the world. We all Indian will always remember him as of our hero. Let’s all pray for the great soul’s journey in peace and heaven. God bless you. It’s a good article. Not many people have been able to evaluate Dara Singh as neatly and comprehensively as this brief article presents. I did not know about his autobiography in Punjabi. Keep up writing on such issues.